﻿ What is FLU DRIFT? and how does it affect our seasonal flu vaccine? Flu drift – known scientifically as viral drift – refers to a gradual process of small genetic changes that occur in a virus over time as it reproduces. Usually, the virus that evolves is still sufficiently similar to its former self that the immune system continues to recognize it and defend against it – this is called cross-protection. Based on that information, scientists of the six WHO Collaborating Centers, including the U.S. Centers for Disease Control and Prevention, or the “CDC”, develop a new vaccine that targets flu strains predicted to cause illness during the upcoming flu season. Once the vaccine has been thoroughly tested and approved by the FDA, it is made available to the public. To read more about vaccine development5 visit https://www.scientificamerican.com/article/how-are-seasonal-flu-vaccines-made/. The ability of a flu vaccine to protect a person against the flu depends primarily on how closely the viruses targeted by each new year’s vaccine match with those circulating and causing illness in that season. 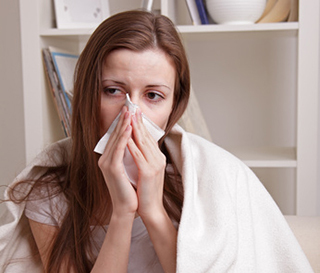 Get up-to-date information about current flu strains in Canada at https://www.canada.ca/en/public-health/services/diseases/flu-influenza/influenza-surveillance/weekly-influenza-reports.html. Talk to your doctor today about what immunizations you may need, and visit Vaccines411.ca to find the vaccinating flu clinic nearest you. For health professionals: Flu (influenza) - Canada.ca. Understanding How Vaccines Work. February 2013. CDC. Global Influenza Surveillance and Response System (GISRS). 2018. Sabrina Stierwalt. Everyday Einstein. February 4, 2016. How Are Seasonal Flu Vaccines Made?